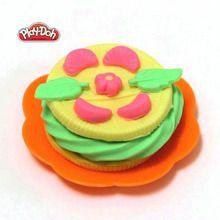 In this workshop we will have fun with the Play-Doh box "Cookies"! We'll show you in the video some cookies you can make, but keep in mind that it's all about imagination! 1 tray full of small molds! For sweet glazes, gently press the tools so that they are formed well. 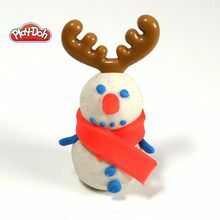 You can do small spikes of frosting, pressing just a little and pulling the dough from the tube. Place different colors in the detailed small molds for fine treats! To make beautiful patterns with the roll, you have two possibilities: either you use a thin layer or thick layers. Let your imagination create these beautifully delicious looking cookies, however you can't certainly eat!